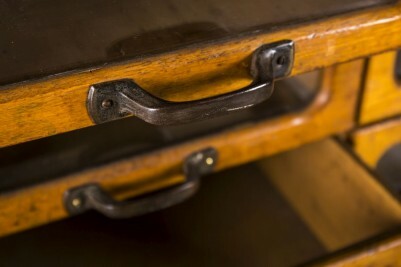 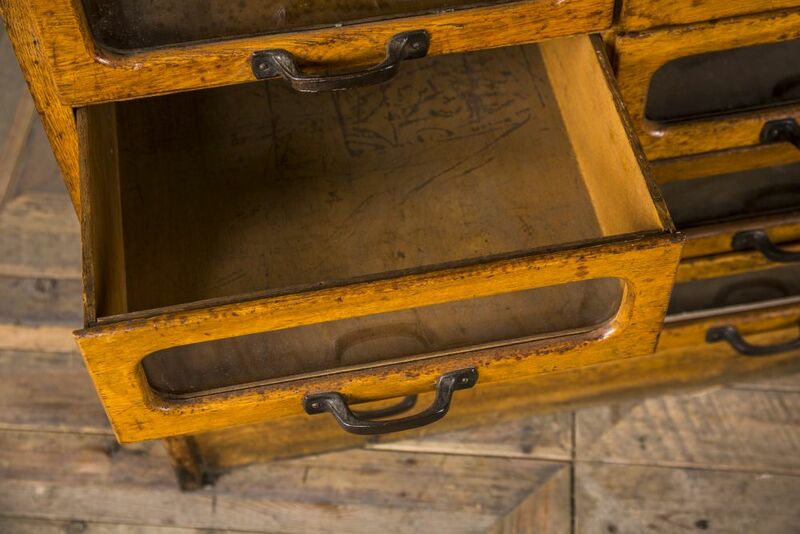 This vintage haberdashery cabinet is a fantastic piece of furniture that dates from the 1950s. 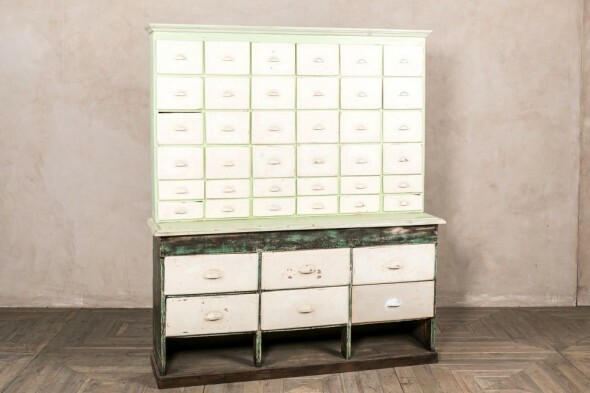 Give it a new lase of life in your home or business; it’s sure to make a statement in your space! 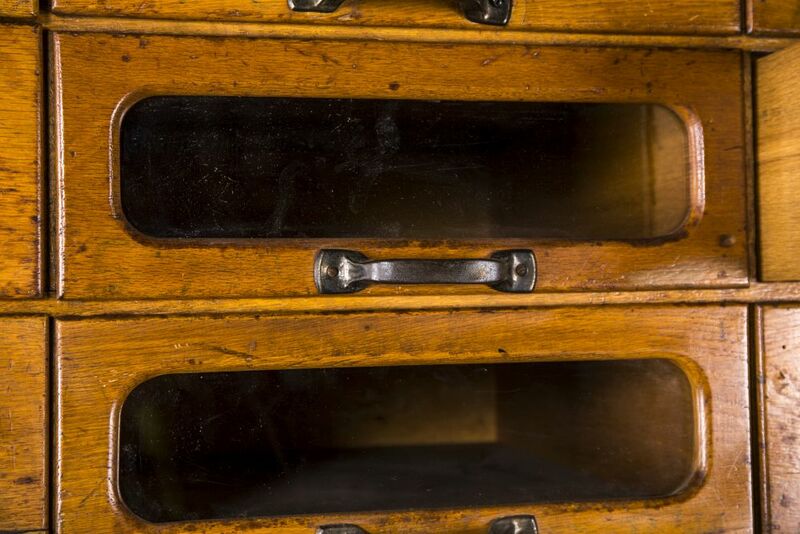 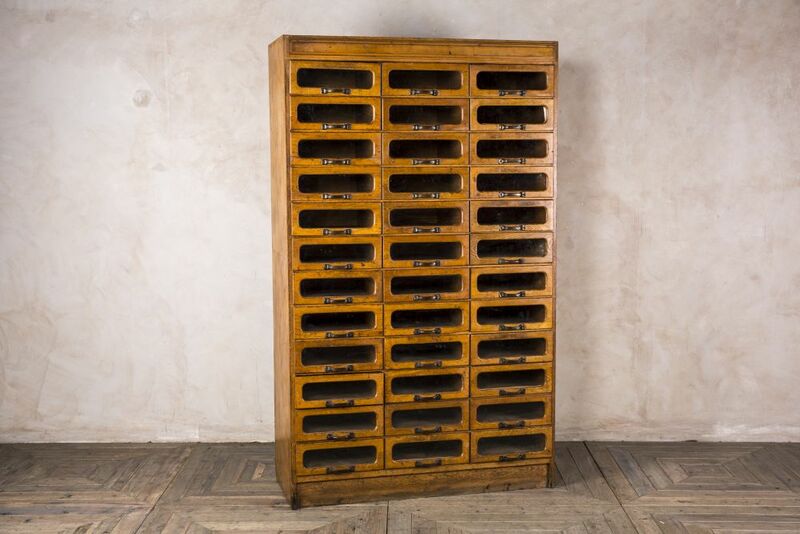 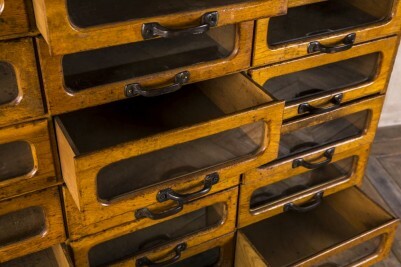 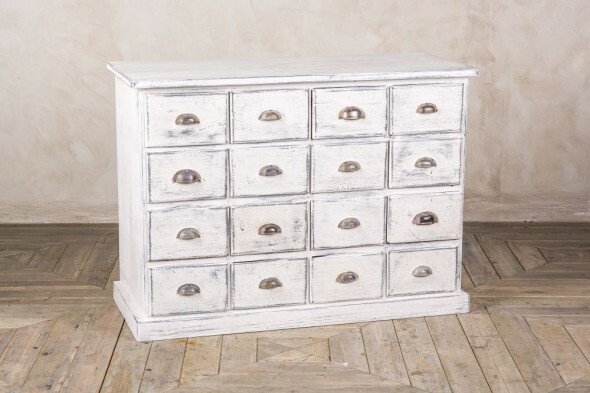 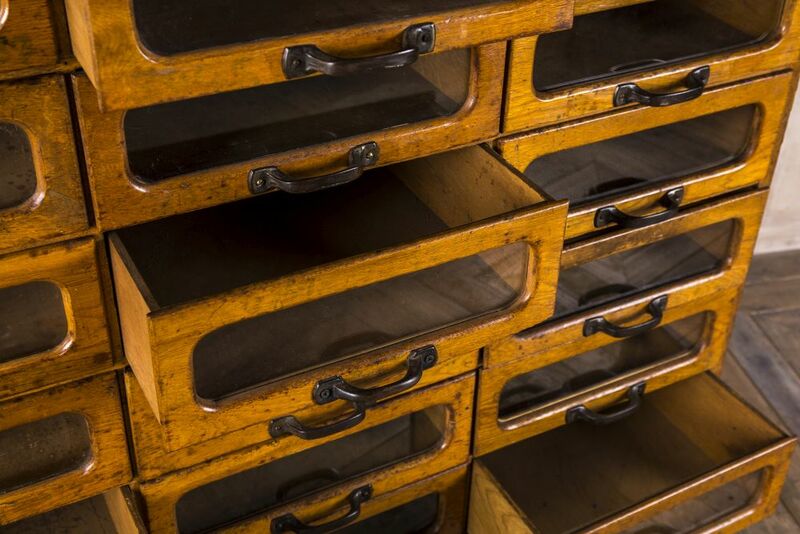 The haberdashery cabinet has 36 drawers, each with a glass front. 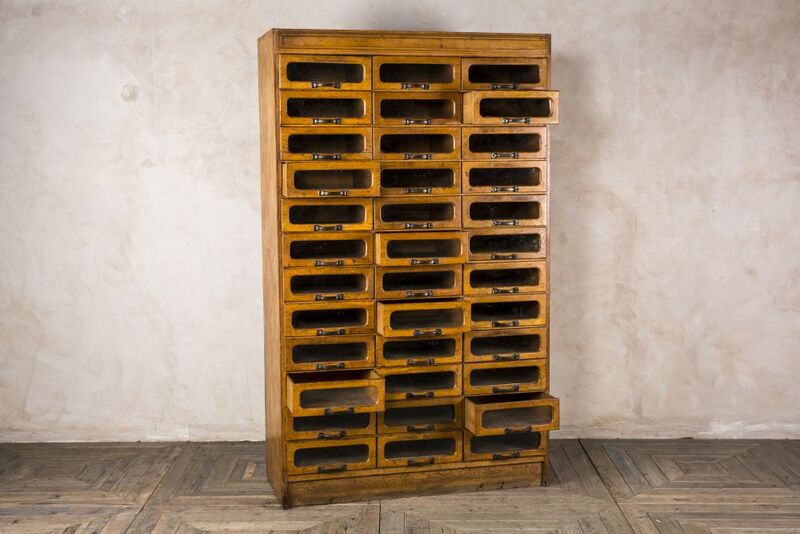 The drawers are the perfect size to store bottles of wine, making the haberdashery ideal for wine collectors. 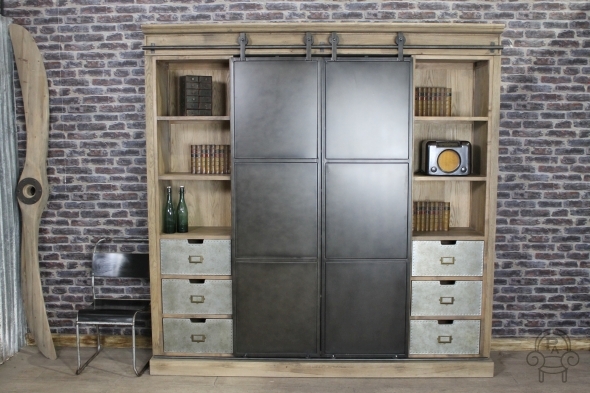 Alternatively, it would be a great place to store and display shoes or handbags. The cabinet could also be used in a clothing shop as a place to display smaller items such as socks, ties, etc. As the haberdashery is an original vintage item, please allow for signs of wear and tear. 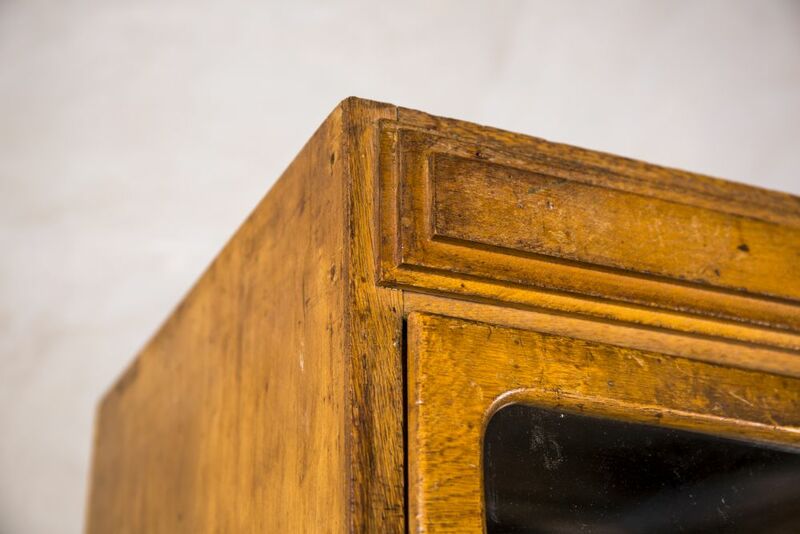 We feel that knocks and marks only add to its retro charm.